On this day in 1787 a constitutional convention convened in Philadelphia with representatives from seven states. Though the meeting was not authorized by Congress, they were among the most eminent men in the young American republic—and several were actually members of Congress. Their purpose was to draft amendments to the Articles of Confederation. Under other circumstances, the meeting might have been considered a coup d’état. Eventually the conferees determined that in order to achieve their ends they would have to create an entirely new document. After several compromise plans had been proposed by the larger and the smaller states, on September 17, 1787, twelve state delegations had contributed to an acceptable draft of the new document. Requiring the ratification of only nine states to take effect, the document met stiff opposition. Anti-federalists charged that the document afforded too much power to the central government and predicted that if the document was actually ratified, a gargantuan bureaucracy, high taxes, and invasive intrusions into personal freedoms would result. 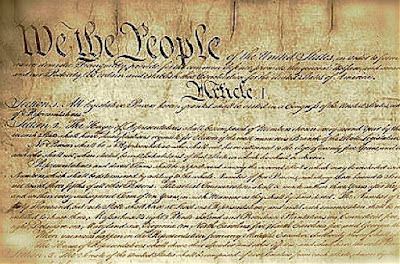 It was only after supporters of the document amended the document ten times—in a series of postscripts known as the Bill of Rights—was the new constitution made official on June 21, 1788. But would take until May 29, 1790 before all of the thirteen original states would actually ratify. In the years since, despite the fact that the fears of the Anti-federalists have been realized to a great extent, the much emulated, often copied Constitution has proven to be one of the most remarkable engines of freedom that the world has ever known.